213000 N40 Iveco N40 series diesel engine. 213001 N40 ENT M25 Iveco N40 ENT M25 Marine Diesel Engine Service (workshop / repair) Manual. 213002 N40 ENT M25 Iveco N40 ENT M25 Marine Diesel Engine Spare Parts Catalog. 213003 N40 ENT 426 Iveco N40 ENT 426 Industrial Diesel Engine Spare Parts Catalog. 213004 N40 ENT D20 Iveco N40 ENT D20 Industrial Diesel Engine Spare Parts Catalog. 213005 N40 ENT E20 Iveco N40 ENT E20 Industrial Diesel Engine Spare Parts Catalog. 213006 N40 ENT E21 Iveco N40 ENT E21 Industrial Diesel Engine Spare Parts Catalog. 213007 N40 ENT U20 Iveco N40 ENT U20 Industrial Diesel Engine Spare Parts Catalog. 213008 N40 MNT E21 Iveco N40 MNT E21 Industrial Diesel Engine Spare Parts Catalog. 213009 N40 ENT 426 Iveco N40 ENT 426 Automotive Diesel Engine Spare Parts Catalog. 213010 N40 ENT 526 Iveco N40 ENT 526 Automotive Diesel Engine Spare Parts Catalog. 213011 N40 ENT C21 Iveco N40 ENT C21 Automotive Diesel Engine Spare Parts Catalog. 213012 N40 ENT C24 Iveco N40 ENT C24 Automotive Diesel Engine Spare Parts Catalog. 213020 N45 Iveco N45 series diesel engine. 213021 N45 MNA M10 Iveco N45 MNA M10 Marine Diesel Engine Service (workshop / repair) Manual. 213022 N45 MNA M10 Iveco N45 MNA M10 Marine Diesel Engine Spare Parts Catalog. 213023 N45 ENT Iveco N45 ENT Industrial Diesel Engine Service (workshop / repair) Manual. 213024 N45 ENT X20 Iveco N45 ENT X20 Industrial Diesel Engine Spare Parts Catalog. 213025 N45 MNA D00 Iveco N45 MNA D00 Industrial Diesel Engine Spare Parts Catalog. 213026 N45 MNA E00 Iveco N45 MNA E00 Industrial Diesel Engine Spare Parts Catalog. 213027 N45 MNA F40 Iveco N45 MNA F40 Industrial Diesel Engine Spare Parts Catalog. 213028 N45 MNA U00 Iveco N45 MNA U00 Industrial Diesel Engine Spare Parts Catalog. 213029 N45 MNSD00 Iveco N45 MNSD00 Industrial Diesel Engine Spare Parts Catalog. 213030 N45 MNSE00 Iveco N45 MNSE00 Industrial Diesel Engine Spare Parts Catalog. 213031 N45 MNSF40 Iveco N45 MNSF40 Industrial Diesel Engine Spare Parts Catalog. 213032 N45 MNSU00 Iveco N45 MNSU00 Industrial Diesel Engine Spare Parts Catalog. 213033 N45 MNSX02 Iveco N45 MNSX02 Industrial Diesel Engine Spare Parts Catalog. 213034 N45 MNT D20 Iveco N45 MNT D20 Industrial Diesel Engine Spare Parts Catalog. 213035 N45 MNT D22 Iveco N45 MNT D22 Industrial Diesel Engine Spare Parts Catalog. 213036 N45 MNT E20 Iveco N45 MNT E20 Industrial Diesel Engine Spare Parts Catalog. 213037 N45 MNT F40 Iveco N45 MNT F40 Industrial Diesel Engine Spare Parts Catalog. 213038 N45 MNT F41 Iveco N45 MNT F41 Industrial Diesel Engine Spare Parts Catalog. 213039 N45 MNT U20 Iveco N45 MNT U20 Industrial Diesel Engine Spare Parts Catalog. 213040 N45 MNT X20 Iveco N45 MNT X20 Industrial Diesel Engine Spare Parts Catalog. 213041 N45 MNT X21 Iveco N45 MNT X21 Industrial Diesel Engine Spare Parts Catalog. 213042 N45 MSA D00 Iveco N45 MSA D00 Industrial Diesel Engine Spare Parts Catalog. 213043 N45 MSS Iveco N45 MSS Industrial Diesel Engine Service (workshop / repair) Manual. 213044 N45 MSSA00 Iveco N45 MSSA00 Industrial Diesel Engine Spare Parts Catalog. 213045 N45 MSSD00 Iveco N45 MSSD00 Industrial Diesel Engine Spare Parts Catalog. 213046 N45 MSSE03 Iveco N45 MSSE03 Industrial Diesel Engine Spare Parts Catalog. 213047 N45 MSSX00 Iveco N45 MSSX00 Industrial Diesel Engine Spare Parts Catalog. 213048 N45 MSSX02 Iveco N45 MSSX02 Industrial Diesel Engine Spare Parts Catalog. 213049 N45 MST A20 Iveco N45 MST A20 Industrial Diesel Engine Spare Parts Catalog. 213050 N45 MST D20 Iveco N45 MST D20 Industrial Diesel Engine Spare Parts Catalog. 213051 N45 MST D22 Iveco N45 MST D22 Industrial Diesel Engine Spare Parts Catalog. 213052 N45 MST X20 Iveco N45 MST X20 Industrial Diesel Engine Spare Parts Catalog. 213053 N45 MST X21 Iveco N45 MST X21 Industrial Diesel Engine Spare Parts Catalog. 213054 N45 MNA A85 Iveco N45 MNA A85 Genset Engine Spare Parts Catalog. 213055 N45 MNA E80 Iveco N45 MNA E80 Genset Engine Spare Parts Catalog. 213056 N45 MNA E88 Iveco N45 MNA E88 Genset Engine Spare Parts Catalog. 213057 N45 MNS Iveco N45 MNS Genset Engine Service (workshop / repair) Manual. 213058 N45 MNSA85 Iveco N45 MNSA85 Genset Engine Spare Parts Catalog. 213059 N45 MNSA86 Iveco N45 MNSA86 Genset Engine Spare Parts Catalog. 213060 N45 MNSE80 Iveco N45 MNSE80 Genset Engine Spare Parts Catalog. 213061 N45 MNSE85 Iveco N45 MNSE85 Genset Engine Spare Parts Catalog. 213062 N45 MNSE88 Iveco N45 MNSE88 Genset Engine Spare Parts Catalog. 213063 N45 MNSI00 Iveco N45 MNSI00 Genset Engine Spare Parts Catalog. 213064 N45 MNSX88 Iveco N45 MNSX88 Genset Engine Spare Parts Catalog. 213065 N45 MNSX89 Iveco N45 MNSX89 Genset Engine Spare Parts Catalog. 213066 N45 MNT Iveco N45 MNT Genset Engine Service (workshop / repair) Manual. 213067 N45 MNT A65 Iveco N45 MNT A65 Genset Engine Spare Parts Catalog. 213068 N45 MNT A66 Iveco N45 MNT A66 Genset Engine Spare Parts Catalog. 213069 N45 MNT E60 Iveco N45 MNT E60 Genset Engine Spare Parts Catalog. 213070 N45 MNT E61 Iveco N45 MNT E61 Genset Engine Spare Parts Catalog. 213071 N45 MNT X68 Iveco N45 MNT X68 Genset Engine Spare Parts Catalog. 213072 N45 MNT E20 Iveco N45 MNT E20 Diesel Engine for Agricultural applicatin Spare Parts Catalog. 213073 N45 MRA D00 Iveco N45 MRA D00 Diesel Engine for Agricultural applicatin Spare Parts Catalog. 213074 N45 MRS D00 Iveco N45 MRS D00 Diesel Engine for Agricultural applicatin Spare Parts Catalog. 213075 N45 MRS D02 Iveco N45 MRS D02 Diesel Engine for Agricultural applicatin Spare Parts Catalog. 213080 N60 Iveco N60 series diesel engine. 213081 N60 ENT M37 Iveco N60 ENT M37 Marine Diesel Engine Service (workshop / repair) Manual. 213082 N60 ENT M37 Iveco N60 ENT M37 Marine Diesel Engine Spare Parts Catalog. 213083 N60 ENT M40 Iveco N60 ENT M40 Marine Diesel Engine Service (workshop / repair) Manual. 213084 N60 ENT M40 Iveco N60 ENT M40 Marine Diesel Engine Spare Parts Catalog. 213085 N60 ENT M45 Iveco N60 ENT M45 Marine Diesel Engine Service (workshop / repair) Manual. 213086 N60 ENT D20 Iveco N60 ENT D20 Industrial Diesel Engine Spare Parts Catalog. 213087 N60 ENT E20 Iveco N60 ENT E20 Industrial Diesel Engine Spare Parts Catalog. 213088 N60 ENT E22 Iveco N60 ENT E22 Industrial Diesel Engine Spare Parts Catalog. 213089 N60 ENT E24 Iveco N60 ENT E24 Industrial Diesel Engine Spare Parts Catalog. 213090 N60 ENT F40 Iveco N60 ENT F40 Industrial Diesel Engine Spare Parts Catalog. 213091 N60 ENT U20 Iveco N60 ENT U20 Industrial Diesel Engine Spare Parts Catalog. 213092 N60 ENT E60 Iveco N60 ENT E60 Genset Engine Spare Parts Catalog. 213093 N60 ENT E66 Iveco N60 ENT E66 Genset Engine Spare Parts Catalog. 213094 N60 ENT 426 Iveco N60 ENT 426 Automotive Diesel Engine Spare Parts Catalog. 213095 N60 ENT 427 Iveco N60 ENT 427 Automotive Diesel Engine Spare Parts Catalog. 213096 N60 ENT 429 Iveco N60 ENT 429 Automotive Diesel Engine Spare Parts Catalog. 213097 N60 ENT C27 Iveco N60 ENT C27 Automotive Diesel Engine Spare Parts Catalog. 213098 N60 MNT G26 Iveco N60 MNT G26 Automotive Gas Engine Spare Parts Catalog. 213100 N67 Iveco N67 series diesel engine. 213101 N67 ENT M45 Iveco N67 ENT M45 Marine Diesel Engine Spare Parts Catalog. 213102 N67 ENT M56 Iveco N67 ENT M56 Marine Diesel Engine Spare Parts Catalog. 213103 N67 MNA M12 Iveco N67 MNA M12 Marine Diesel Engine Spare Parts Catalog. 213104 N67 MNA M15 Iveco N67 MNA M15 Marine Diesel Engine Service (workshop / repair) Manual. 213105 N67 MNA M15 Iveco N67 MNA M15 Marine Diesel Engine Spare Parts Catalog. 213106 N67 MNS M22 Iveco N67 MNS M22 Marine Diesel Engine Spare Parts Catalog. 213107 N67 MNT M28 Iveco N67 MNT M28 Marine Diesel Engine Spare Parts Catalog. 213108 N67 ENT Iveco N67 ENT Industrial Diesel Engine Service (workshop / repair) Manual. 213109 N67 ENT A20 Iveco N67 ENT A20 Industrial Diesel Engine Spare Parts Catalog. 213110 N67 ENT X20 Iveco N67 ENT X20 Industrial Diesel Engine Spare Parts Catalog. 213111 N67 ENT X24 Iveco N67 ENT X24 Industrial Diesel Engine Spare Parts Catalog. 213112 N67 ERT Iveco N67 ERT Industrial Diesel Engine Service (workshop / repair) Manual. 213113 N67 MNA E00 Iveco N67 MNA E00 Industrial Diesel Engine Spare Parts Catalog. 213114 N67 MNA U00 Iveco N67 MNA U00 Industrial Diesel Engine Spare Parts Catalog. 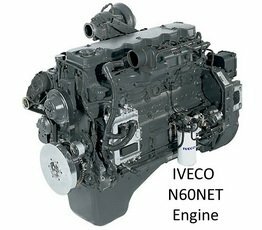 213115 N67 MNT Iveco N67 MNT Industrial Diesel Engine Service (workshop / repair) Manual. 213116 N67 MNT A20 Iveco N67 MNT A20 Industrial Diesel Engine Spare Parts Catalog. 213117 N67 MNT D20 Iveco N67 MNT D20 Industrial Diesel Engine Spare Parts Catalog. 213118 N67 MNT D21 Iveco N67 MNT D21 Industrial Diesel Engine Spare Parts Catalog. 213119 N67 MNT D23 Iveco N67 MNT D23 Industrial Diesel Engine Spare Parts Catalog. 213120 N67 MNT E20 Iveco N67 MNT E20 Industrial Diesel Engine Spare Parts Catalog. 213121 N67 MNT E21 Iveco N67 MNT E21 Industrial Diesel Engine Spare Parts Catalog. 213122 N67 MNT F40 Iveco N67 MNT F40 Industrial Diesel Engine Spare Parts Catalog. 213123 N67 MNT F41 Iveco N67 MNT F41 Industrial Diesel Engine Spare Parts Catalog. 213124 N67 MNT F42 Iveco N67 MNT F42 Industrial Diesel Engine Spare Parts Catalog. 213125 N67 MNT U20 Iveco N67 MNT U20 Industrial Diesel Engine Spare Parts Catalog. 213126 N67 MNT X20 Iveco N67 MNT X20 Industrial Diesel Engine Spare Parts Catalog. 213127 N67 MNT X21 Iveco N67 MNT X21 Industrial Diesel Engine Spare Parts Catalog. 213128 N67 MRT Iveco N67 MRT Industrial Diesel Engine Service (workshop / repair) Manual. 213129 N67 MSA D00 Iveco N67 MSA D00 Industrial Diesel Engine Spare Parts Catalog. 213130 N67 MSA E00 Iveco N67 MSA E00 Industrial Diesel Engine Spare Parts Catalog. 213131 N67 MST D20 Iveco N67 MST D20 Industrial Diesel Engine Spare Parts Catalog. 213132 N67 MST D23 Iveco N67 MST D23 Industrial Diesel Engine Spare Parts Catalog. 213133 N67 ENT Iveco N67 ENT Genset Engine Service (workshop / repair) Manual. 213134 N67 ENT A65 Iveco N67 ENT A65 Genset Engine Spare Parts Catalog. 213135 N67 ENT X67 Iveco N67 ENT X67 Genset Engine Spare Parts Catalog. 213136 N67 ENT X68 Iveco N67 ENT X68 Genset Engine Spare Parts Catalog. 213137 N67 MNS I80 Iveco N67 MNS I80 Genset Engine Spare Parts Catalog. 213138 N67 MNT Iveco N67 MNT Genset Engine Service (workshop / repair) Manual. 213139 N67 MNT A65 Iveco N67 MNT A65 Genset Engine Spare Parts Catalog. 213140 N67 MNT A66 Iveco N67 MNT A66 Genset Engine Spare Parts Catalog. 213141 N67 MNT D20 Iveco N67 MNT D20 Genset Engine Spare Parts Catalog. 213142 N67 MNT E60 Iveco N67 MNT E60 Genset Engine Spare Parts Catalog. 213143 N67 MNT E61 Iveco N67 MNT E61 Genset Engine Spare Parts Catalog. 213144 N67 MNT X68 Iveco N67 MNT X68 Genset Engine Spare Parts Catalog. 213145 PUN67 ENT X20 Iveco PUN67 ENT X20 Power Unit Spare Parts Catalog. 213146 PUN67 MNT X20 Iveco PUN67 MNT X20 Power Unit Spare Parts Catalog.